...you'll know that I'm a fan of Kiko makeup. Kiko is an Italian beauty brand renowned for great quality, well-priced makeup. Regular new product releases and limited edition collections sit alongside a range of staples, creatively packaged and presented in stand-alone stores or online. I visited one of its shops in Italy a couple of years ago and have since yearned for the opening of a Belfast store, which is just about to happen. I think it speaks volumes that I'm at least as excited for this as the imminent arrival of our first local Charlotte Tilbury counter. If you're yet to try Kiko and not sure where to begin, these are the products I think they do best. NB some items may no longer be available (downside of so many limited editions). Kiko lipsticks are among the best I've tried by any brand. I still wear the mauve pink Lusty Peony lipstick above several times a week and always get complimented on it (limited edition but v similar in colour to MAC Mehr). Well pigmented, creamy and beautifully packaged, these look and feel a lot more luxe than their price point (around £7-10). The sheer and glossy formulas are nice, but the more pigmented ones get my vote. Kiko single eye shadows tend to wow me even more than the palettes and this green is a favourite. Buttery soft with great colour payoff in a range of finishes from skin toned, sheer nudes to foiled metallics, I just can't fault them. Kiko blushers are finely milled and generally available in multiple shades to suit different skin tones, which my pale skin appreciates. Again, the presentation is often unique, such as this ombre blush from the Artist Collection. PS that's a Kiko blush brush next to it. High praise for the brushes too - I use several of the eye shadow brushes regularly - this fluffy blending brush is a staple. Eyeliner is another Kiko product that I reach for almost daily. I find the formulas soft and smooth to apply, smudging out nicely before setting. They often release mega bright shades, which aren't really my bag, but I can always find one in my standard brown/bronze/grey/olive tone. This formula is my current fave. 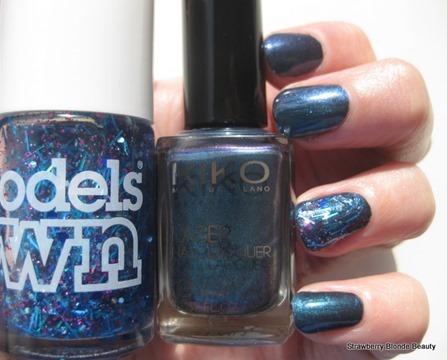 Kiko nail polishes were one of the first products I tried from the brand and they're ace. Keep an eye on the website for promo offers, esp on discontinued ranges. These are down to £2.50 each at the moment. Of course I had to save the best for last. Probably Kiko's most talked about makeup product, the Long Lasting Stick Eye Shadow, aka eye shadow crayon. Often compared to By Terry Ombre Blackstar, at a quarter of the price, these glide on, blend out and stay put for the day. I do need to use a primer under mine (as I do for the By Terry, just sayin') but am very impressed by these - and as you can see, couldn't stop at buying just one! I realise that after promising to share the best of Kiko, I appear to have said that it's all fabulous. I don't love everything I've tried by them, but in all honesty it's been more a matter of personal taste over particular colours (rainbow bright eye liners) or formula (super matte liquid lipsticks), rather than there being any issue with the actual product. If you only buy one (or two) Kiko products, try a lipstick and/or a Long Lasting Stick Eyeshadow. For my local readers, Kiko Belfast opens one week today on 31st August at 10.30am. The first 50 customers will receive a Kiko gift card and the first 200 a gift with purchase. It's at 11 William Street South (near the Topshop entrance to Victoria Square - next to Hotel Chocolat) - see you there! 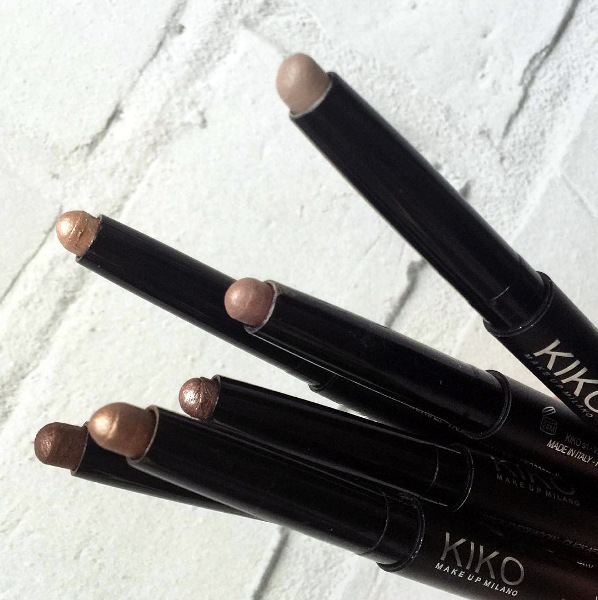 Have you tried Kiko yet? PS Since I know there's always someone who wonders, this post is not sponsored in any way... I just love this brand. I've been thinking about doing similar 'Best of' posts on a number of makeup and skincare brands, as I often get asked about my favourites from one specific company. Please let me know if you like this idea - below in the comments or on Facebook/ Twitter. PPS I'm now on Snapchat strawbry_blonde so come say hi!